Saab CEO Jan Ake Jonsson and officials from the Swedish government traveled to Detroit on Monday ahead of a General Motors Co. board meeting to decide the brand's fate. Saab's future was put in doubt last week when Sweden's Koenigsegg Automotive AB dropped out of a deal to buy the money-losing GM brand. Media reports have said other bidders have since expressed interest in Saab including Beijing Automotive Industry Holding Corp., U.S. private equity firm Renco Group Inc. and the U.S. investment company Merbanco Inc.
On Monday, Beijing Auto's general manager Wang Dazong said the Chinese company, which had partnered Koenigsegg's bid for Saab, might still be interested in buying the brand. "I would just say, 'stay tuned a little bit,'" Wang said on the sidelines of a China-European Union business summit. GM's board is expected to discuss Saab's future in a meeting on Tuesday. Saab spokeswoman Gunilla Gustavs told news wires that Jonsson would meet with GM management and potential new buyers of Saab in Detroit. Joran Hagglund, a senior official at Sweden's Ministry of Enterprise, also traveled to Detroit with Swedish government representatives to talk with GM about government aid for Saab. 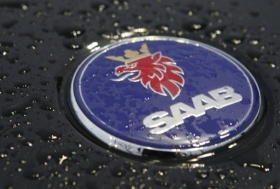 Saab has been in a court-protected restructuring since Feb. 20.